Wolf Commercial Real Estate, a leading Blue Bell commercial real estate broker with expertise in Blue Bell commercial real estate listings and services, now has available high-efficiency Energy Star office space for lease at 930 Harvest Drive Blue Bell PA. This high-efficiency Energy Star office space for lease in Blue Bell is in a four-story Class A office building and this Blue Bell professional office space for lease has newly renovated restrooms and common areas along with a lobby directory. When you occupy this high-efficiency Energy Star office space for lease in Blue Bell, where the rental cost includes electric, you can experience significant savings due to its energy efficiency – a benefit that would not be available at other buildings without a government Energy Star rating. This rating has been awarded by the U.S. Environmental Protection Agency since 1992 as a sign of environmental responsibility and financial savings. Please call for the asking lease price of this high-efficiency Energy Star office space for lease in Blue Bell as this Blue Bell office building for lease is being offered for immediate occupancy by Wolf Commercial Real Estate, a Blue Bell commercial real estate brokerage firm that specializes in Blue Bell commercial real estate listings and services. 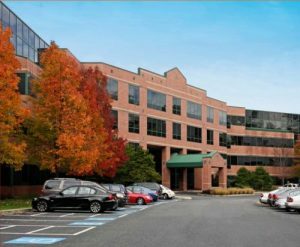 This Blue Bell professional office building for lease at 930 Harvest Drive Blue Bell PA has a total of 24,742 square feet of divisible Blue Bell professional office space for lease: 4,024 sf on the first floor; 5,808 sf on the third floor; and 13,783 sf on the fourth floor. With on-site management and ownership at this Blue Bell professional office space for lease, there are a full-time, on-site day porter and building engineer. There’s also a back-up generator at this Blue Bell office building for lease at 930 Harvest Drive Blue Bell PA. This Blue Bell office space for lease has a tenant-only conference center and, in addition, this high-efficiency Energy Star office space for lease in Blue Bell has a vending area available 24/7. This Blue Bell office space for lease has easy access from major highways I-476, the Pennsylvania Turnpike, and the Plymouth Meeting interchange. Leasing opportunities for this high-efficiency Energy Star office space for lease in Blue Bell now are available through Wolf Commercial Real Estate, a leading Blue Bell commercial real estate broker with expertise in Blue Bell commercial real estate listings and services. There is ample parking at this Blue Bell professional office building for lease with a parking ratio of 4/1,000 sf with additional parking available on the adjacent lot. There are two “Type 1” SLA fiber providers servicing this Blue Bell office building for lease and plug-and-play suites with a seamless, no-hassle tenant build-out process are available at this high-efficiency Energy Star office space for lease in Blue Bell. For more information about this Blue Bell office space for lease at 930 Harvest Drive Blue Bell PA, or about any other Blue Bell commercial properties for sale or lease, please contact Andrew Maristch (215-799-6141; drew.maristch@wolfcre.com), Anthony Mannino (215-799-6140; anthony.mannino@wolfcre.com), or Jason Wolf (215-799-6900; jason.wolf@wolfcre.com) at Wolf Commercial Real Estate, a Blue Bell commercial real estate brokerage firm. Wolf Commercial Real Estate is a leading Blue Bell commercial real estate broker that provides a full range of Blue Bell commercial real estate listings and services, marketing commercial offices, medical properties, industrial properties, land properties, retail buildings and other Blue Bell commercial properties for buyers, tenants, investors and sellers. Please visit our websites for a full listing of Blue Bell commercial properties for lease or sale through our Blue Bell commercial real estate brokerage firm.